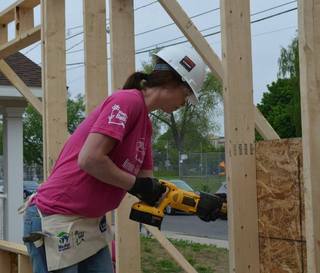 National Women Build Week Fundraising Campaign for Habitat for Humanity of Schenectady County, Inc.
Join us as we celebrate the ninth annual National Women Build Week, April 30-May 8! This national initiative invites women to devote at least one day to help build decent and affordable housing in their local communities. Come help us build, raise funds, and awareness of the need for decent affordable housing for hard-working families in Schenectady County. Our goal is to raise $10,000 to purchase building materials, tools and safety equipment to be used onsite. Together we can do this!! 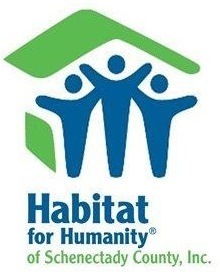 Campaign to Support Habitat for Humanity of Schenectady County, Inc.
Habitat for Humanity of Schenectady County is part of a global, nonprofit housing organization committed to building homes, communities and hope. Schenectady Habitat is dedicated to eliminating substandard housing locally and worldwide through constructing, rehabilitating and preserving homes; by advocating for fair and just housing policies; and by providing training and access to resources to help families improve their shelter conditions. Habitat for Humanity was founded on the conviction that every man, woman and child should have a simple, durable place to live in dignity and safety, and that decent shelter in decent communities should be a matter of conscience and action for all. Established in 1993, Schenectady Habitat serves Schenectady County in New York State’s Capital Region. The organization is dedicated to making quality, affordable housing solutions available to low-income families. To date, more than 50 houses have been constructed and sold, in addition to 100+ other housing units repaired, for a total of more than 500 families served in Schenectady County. Sending good wishes for you and the project! Proud to support you, Trish, in this important work!